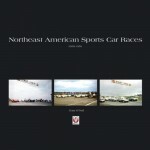 This pleasant book introduces us to the vast variety of hood ornaments, horn buttons, emblems, and scripts of American automobiles. During the 1950s and ’60s virtually all those items were changed on an annual basis and as a result, the author’s collection of such “jewelry” has grown to be very large. Collecting is one thing, displaying another. Row upon row of custom-made mounts displayed in glass-fronted cases are a lesson in how to present such a collection to greatest advantage. The author does a very nice job showing design changes over the years. It is interesting to see how the Oldsmobile crest evolved from a mediaeval crest suitable for the shield of Sir Olds to a rocketship suitable for Star Trek. Hood ornaments started out representational, as birds, goddesses, Egyptian sun gods, rams, etc. The fascination with the jet age turned them into abstract rocketships, planes, etc., changing every year and unlikely to ever be repeated. Many of them were true pieces of art, made by unknown designers. Probably the most innovative were the Pontiac designers who streamlined the Indian head more and more in the mid-’50s. The crowning glory was the 1953 Pontiac Deluxe with the most dramatic incarnation of the Indian head motif with its internally lit head made of early plastic or glass. 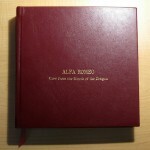 The book doesn’t go into the technical issues of how such things worked, but the result was magnificent. The book’s upbeat style is a great “spark plug” to get people interested in this aspect of automobilia. I for one will start rummaging trough the heaps of “stuff” at the swap meets of Auburn, Indiana and Hershey. There are only 16 pages of text vs. more than a hundred of excellent photographs. I feel photographer Rob d’Estrube deserves a good part of the credit for this fun book. The word Classic in the subtitle seems somewhat misleading since the book does not cover the great classic prewar era of the Duesenbergs, Packards, etc. Instead its focus is mainly on the late 1940s through the ‘60s. At that point various safety laws around the globe put an end to these glorious hood ornaments which were deemed to be dangerous in their fixed, unretractable position. Brightwork of that time period can still be found at swap meets or junkyards in various stages of deterioration. This is easily obtainable art and should be preserved. Supply and demand will see prices of the more collectable pieces escalate soon enough. 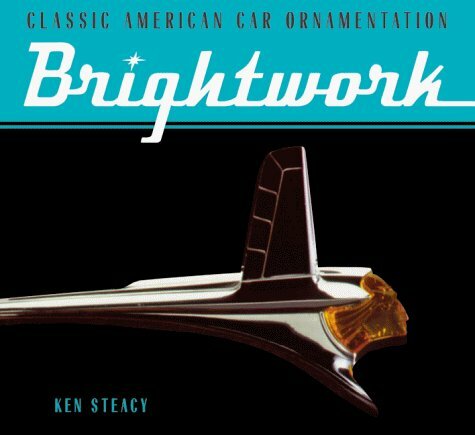 The book is not trying to be the all-knowing encyclopedia of American brightwork but is a fascinating collection of great photographs of our automotive art and chrome era. 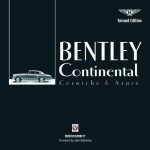 It encourages the reader to take up collecting brightwork and is a great addition to any automotive library. Copyright 2011, Bram Over (speedreaders.info).